The 2015 Tony Awards Ceremony on June 7 will celebrate the Great White Way’s last year of unprecedented success. According to statistics from the Broadway League, a well-known trade association, 2014 brought the Great White Way its highest-grossing year yet! New York’s theater scene reportedly drew its largest audience attendance plus a record-breaking haul during New Year’s week. The numbers don’t lie! Last year boasted 13.13 million people attending Broadway shows—increased by 13% from 2013—and the box office yields added up to $1.362 billion, up by 14%. Megan Fairchild in ‘On The Town’ with Tony Yazbeck, who was just named Best Male Dancer by The Fred & Adele Astaire Awards. Beloved musicals like Wicked, The Lion King and The Book of Mormon really racked up all year long—but especially during New Year’s week. 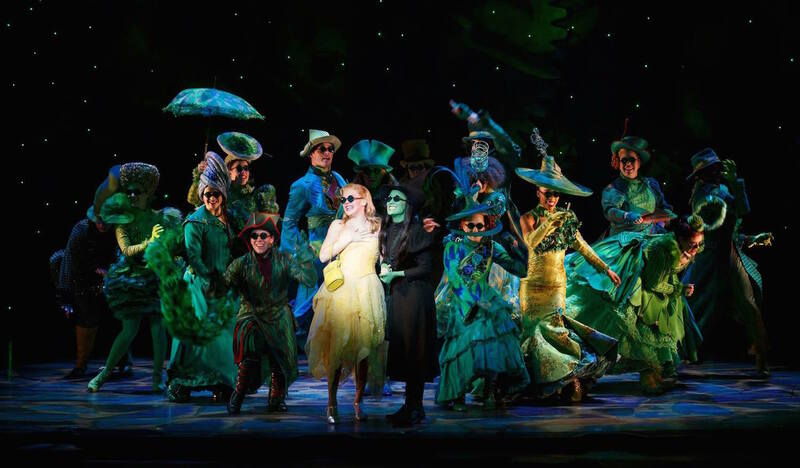 Wicked took home $2,740,642 that week alone, making it the highest-grossing eight-performance week in Broadway history. Not too far behind was The Lion King at $2,514,994. While some are giving credit to celebrities like Bradley Cooper, Emma Stone and Jake Gyllenhaal for bringing in extra crowds as they garner more publicity for their roles, there are many other considerations as well. 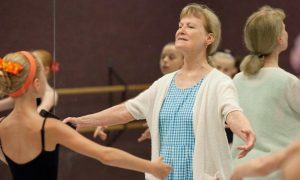 One easy conclusion for us dance enthusiasts is that more high-quality, advanced dancers took to the Broadway stage last year. One example of this is with On The Town, which opened in October. Megan Fairchild, a Principal Dancer with New York City Ballet, lit up the stage in her leading role of Ivy Smith (better known as “Miss Turnstiles.”) The New York Times dubbed her “a goddess” when she dances, clearly not just stealing her partner’s affections but also the critic’s. The dance-y musical received rave reviews and an equally enamored response from audiences. Choreographer Joshua Bergasse is nominated for a 2015 Tony Award and recently received the Fred Astaire Award for Best Choreographer. 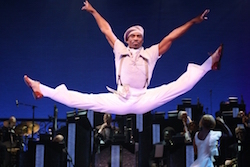 Desmond Richardson in ‘After Midnight.’ Photo by Walter McBride. Other productions boasting big-name dancers included After Midnight (with Complexions Contemporary Ballet Co-Artistic Director Desmond Richardson and New York Spring Spectacular tapper Jared Grimes starring in the show) and An American in Paris (with New York City Ballet Principal Robert Fairchild—Megan’s brother—and Leanne Cope, First Artist for The Royal Ballet) shining in the revival. Choreographer Warren Carlyle might have won the 2014 Tony Award for Best Choreography for After Midnight, but his fellow nominees (Casey Nicholaw for Aladdin, Kelly Devine and Steven Hoggett for Rocky and Susan Stroman for Bullets Over Broadway) were real contenders. Now, the selection committee for the 2015 Tony Awards will have an even harder time choosing between the five Best Choreography nominees: Bergasse for On the Town; Christopher Gattelli for The King and I; Scott Graham and Steven Hoggett for The Curious Incident of the Dog in the Night Time; Casey Nicholaw for Something Rotten! ; and Christopher Wheeldon for An American in Paris. 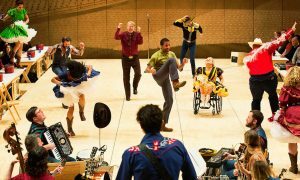 One thing’s for sure – the caliber of dance on Broadway has definitely taken a step up in recent years. And there’s no way this didn’t affect Broadway’s record-breaking numbers last year! Photo (top) courtesy of Wicked The Musical. Would you like $2000 towards Dance Classes & Clothing?